Interested in learning more about us and our services? 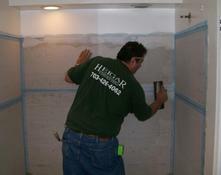 Heigar Contracting is family-owned and operated in Fairfax, VA. Since opening in 2000, we’ve treated every customer like they were our neighbor. Other companies may offer similar renovation services, but our services come with years of industry knowledge and a high level of communication with our customer. If you as a customer would not refer us, we haven't done our job.